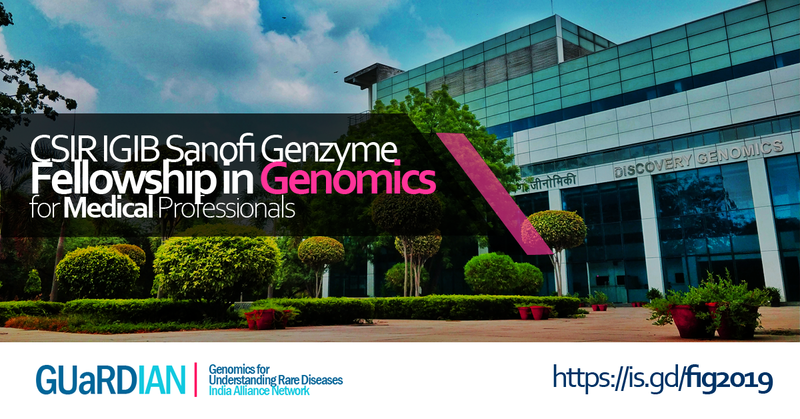 The CSIR-IGIB Sanofi Genzyme Fellowship in Genomics for Medical Professionals aims to introduce fundamental aspects of genomics and molecular medicine to clinicians through short-term visit, interaction and hands-on training on specific aspects of genomics with the faculty at the CSIR-Institute of Genomics and Integrative Biology (CSIR-IGIB) in Delhi. To apply for participation in the fellowship programme, applicant must have a basic medical qualification recognised by the Medical Council of India (i.e, MBBS degree or equivalent) and a deep interest in research in the area of rare diseases and genetic disorders. For foreign candidates who have undergone training outside India, the basic medical qualification should be recognized by the respective medical council or licensing authority in the home country. DR.VASUKI. S, TIRUNELVELI GOVERNMENT MEDICAL COLLEGE. TIRUNELVELI. TAMILNADU.